Q: What do killer whales, boxing legends, watered down martini drinking international spies, and the greatest science fiction story ever told all have in common you ask? 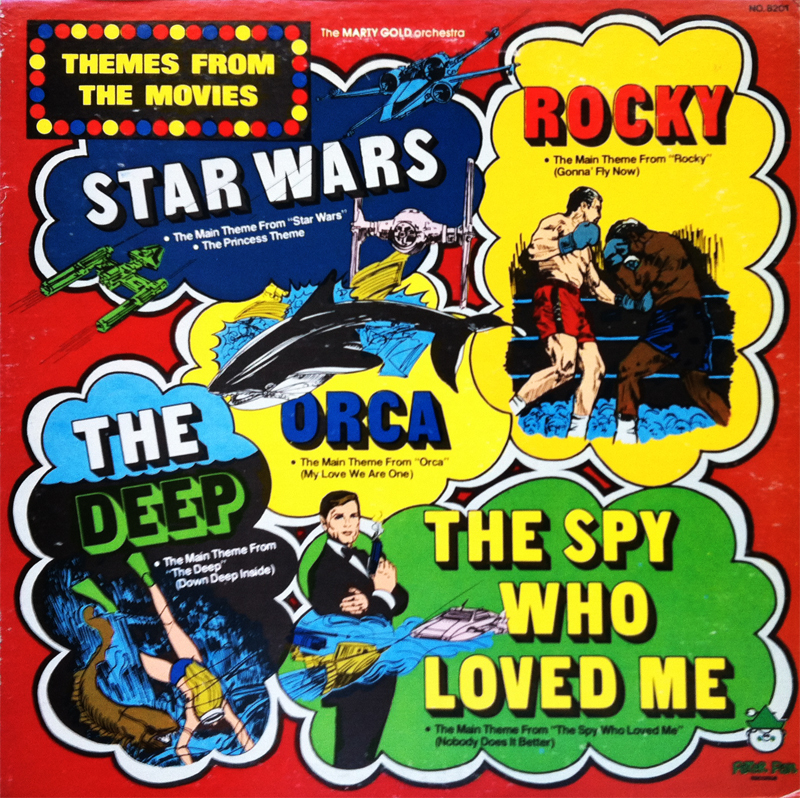 A: Why, this compilation of disco-fied movie themes from the late 70s, of course! I mean, let’s be honest. 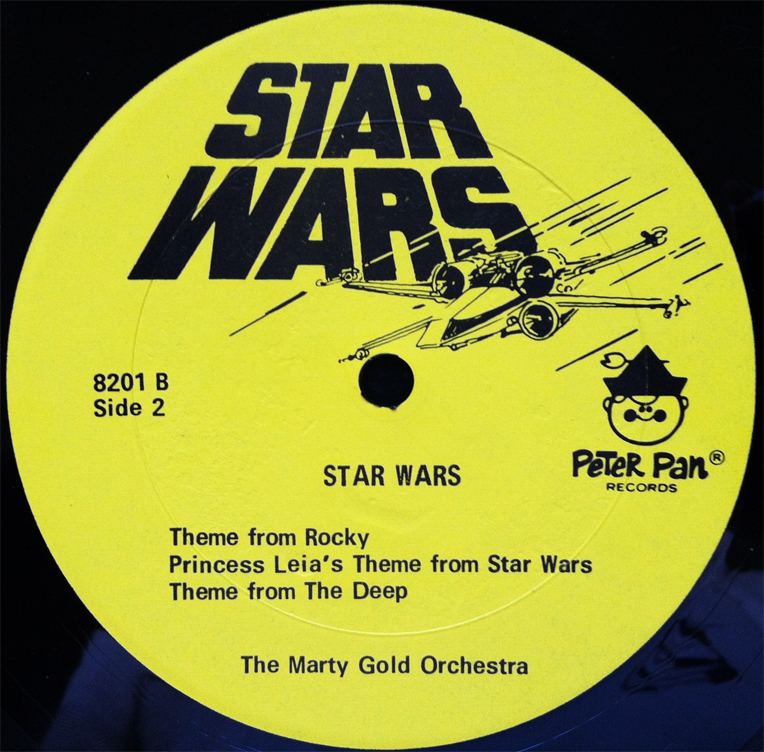 What kid doesn’t want to hear the Marty Gold Orchestra perform the main theme from The Deep? I know for damn certain this here kid does! 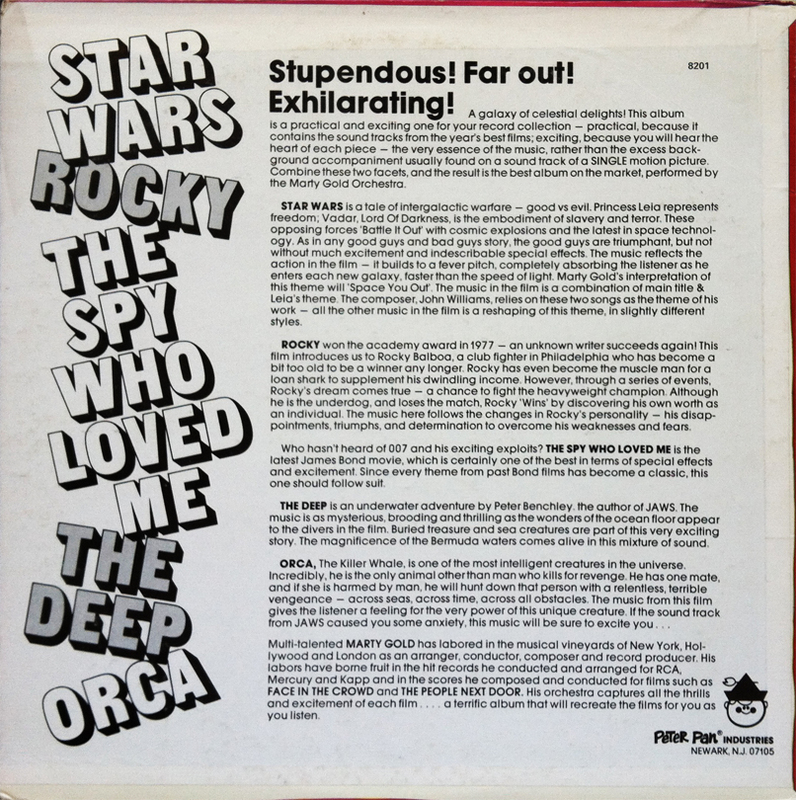 A self-proclaiming “Stupendous!” “Far out!” and “Exhilarating!” collection straight out of Newark, New Jersey, Themes from the Movies combines the disco fever that made the decade of brown and orange famous, with the silver screen classics that made film executives filthy rich… but, you know, marketed to kids via Peter Pan Industries. Nothing says kid-friendly-jams quite like a disco version of the Theme from Orca, am I right? As “a galaxy of celestial delights,” Themes from the Movies is certainly one of those niche records (AKA “best album on the market” as the back cover exclaims) that is better left on the shelf at the record store.